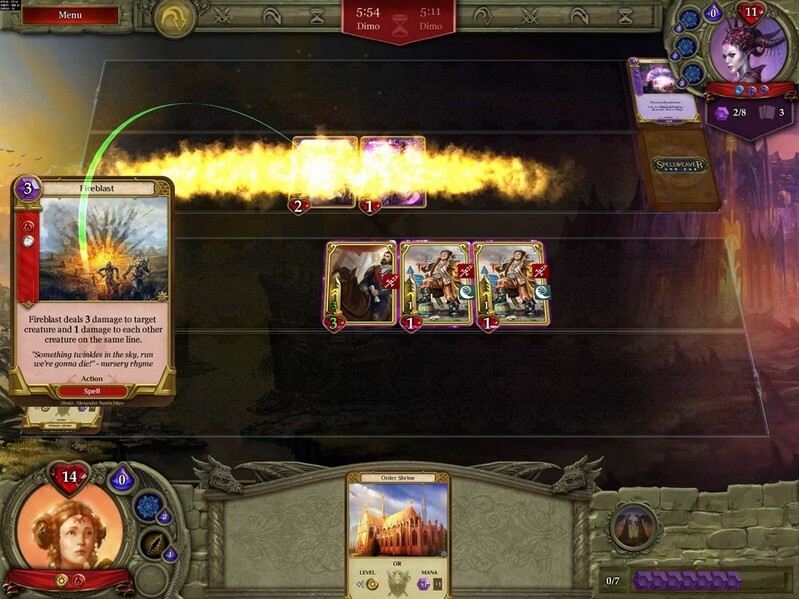 SpellWeaver is an online digital trading card game (TCG) where players are able to build their own deck of cards containing heroes, creatures, and skills which can be used in turn-based combat. 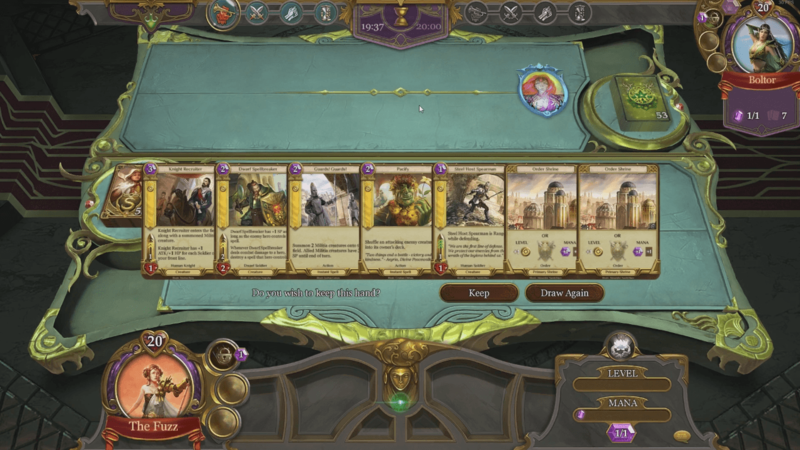 Countless options await players who wish to tackle a vividly detailed world which emphasizes strategy and variety within the depths of its decks of beautifully detailed cards. It is available on PC, Mac, and iPad with an Android version in the works. Multiplayer and Ranking System Duels can be held where players will battle head-to-head against one another to determine the victor. 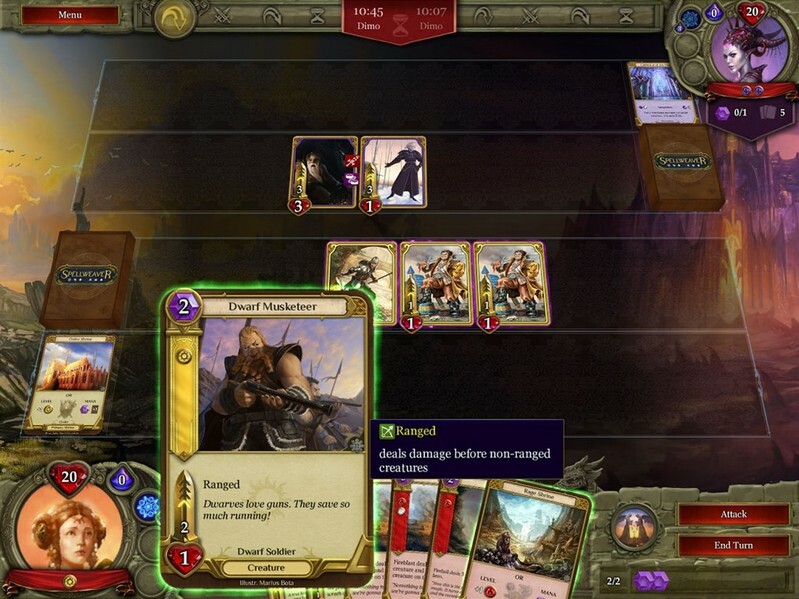 SpellWeaver also features tournaments which can be held between multiple players and leaderboards which help determine how players stack up against each other. Campaigns SpellWeaver features two different single-player games that can be played through when the player isn't looking to partake in a multiplayer match. 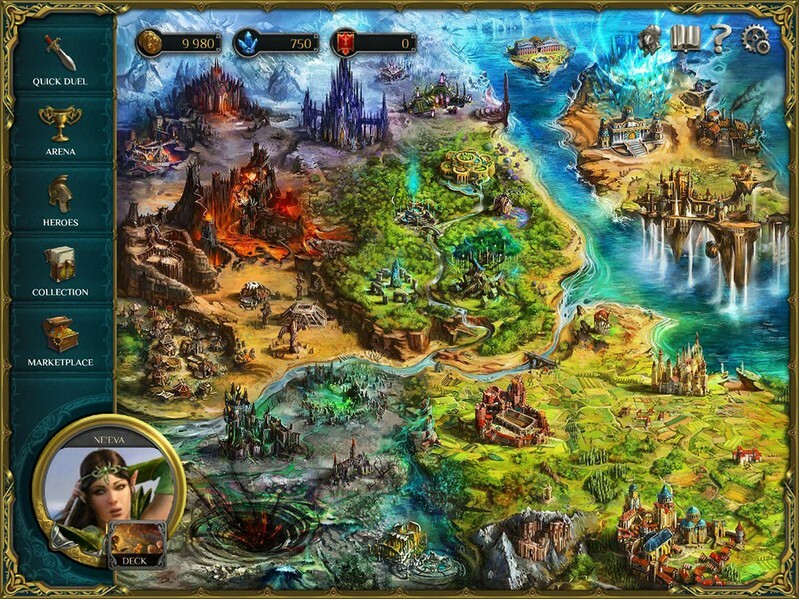 Rich Lore and Artwork SpellWeaver uses gorgeous artwork and deep lore to help bring a magical world to life before players' very eyes. Magical Aspects The six magical aspects that can be found within SpellWeaver are Rage, Dominion, Corruption, Nature, Wisdom, and Order. 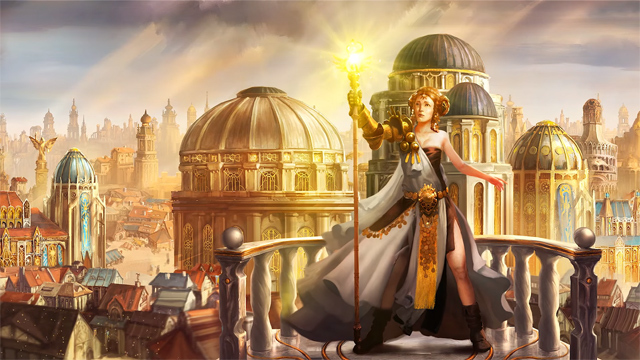 Every aspect has a unique set of abilities that other aspects don't have access to, and every card found in SpellWeaver belongs to one of these six magical aspects. 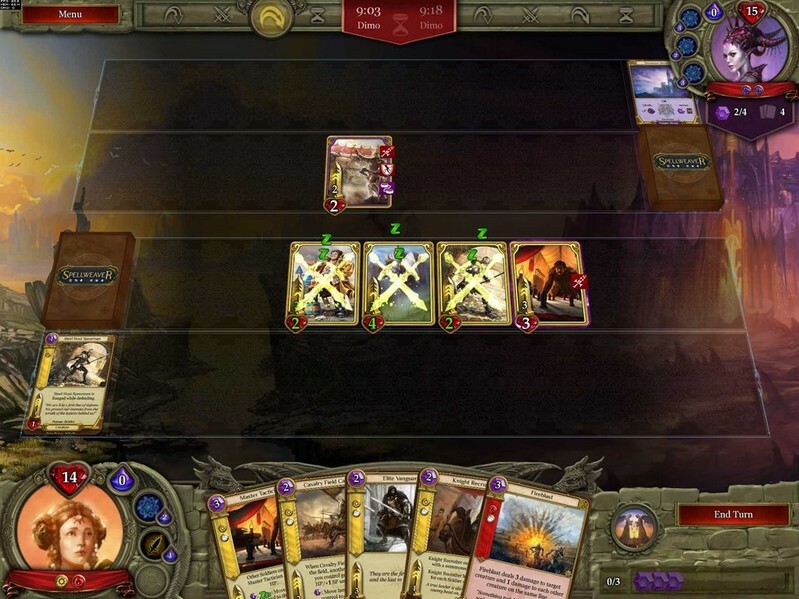 Players are free to gear their deck with a single aspect or mix aspects in order to achieve victory. 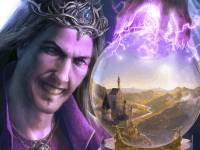 Well-Balanced Economy SpellWeaver's free-to-play economy design is well-balanced, ensuring that all players have equal opportunity and can compete on equal grounds. 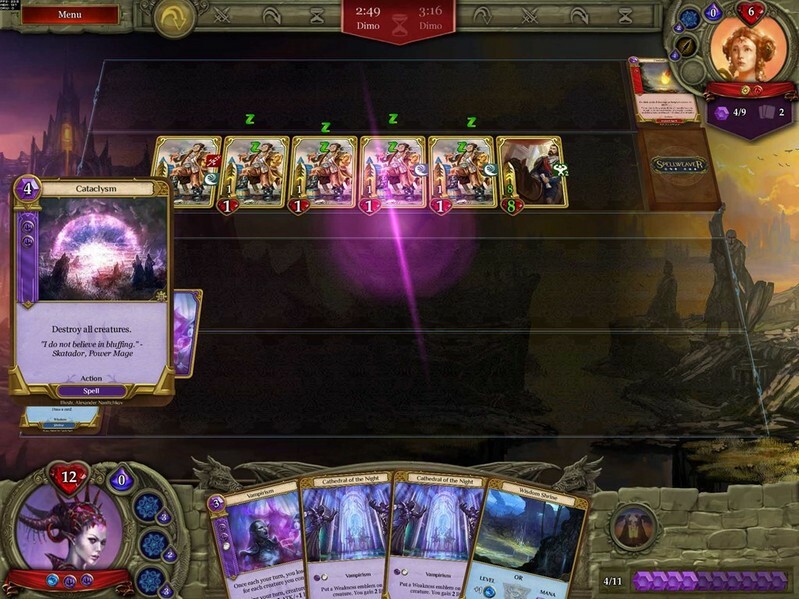 Spellweaver's unique take on the CCG genre arrives today on Steam. 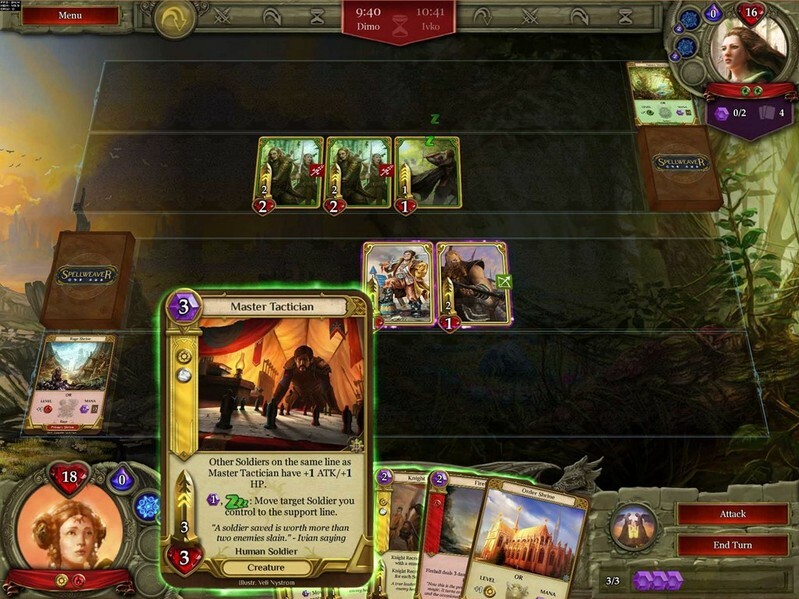 Impressive new TCG, Spellweaver, enters into open beta testing.